Sweet. 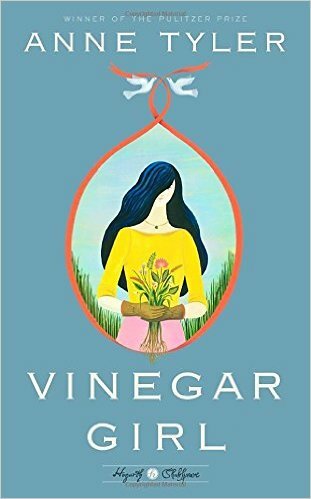 I imagine that Anne Tyler laughed a lot as she adapted Shakespeare’s The Taming of the Shrew in her new novel titled, Vinegar Girl. I certainly laughed a lot while reading it. It should come as no surprise that Tyler sets the novel in Baltimore and that her characters are complex and interesting. Protagonist Katherine Battista holds strong views, does not suffer fools gladly, and runs the household in which she, and her younger sister, Bianca, live with their father, a research scientist at Johns Hopkins. Dr. Battista is a single parent who has established ways of living that seem better suited to a laboratory setting than a nurturing home. His work depends heavily on a student, Pyotr, who may be deported. Dr. Battista decides that Pyotr and Kate should marry so Pyotr can remain in the lab in Baltimore. Tyler takes that set up and lets the plot unravel out of control, providing grist for great humor, and then pulling everything together. Does that sound like Shakespeare’s play to you? Whether your answer is yes or no, chances are you will laugh as you read this sweet novel. Rating: Four-star (I like it) Click here to purchase Vinegar Girl from amazon.com. Bounce. 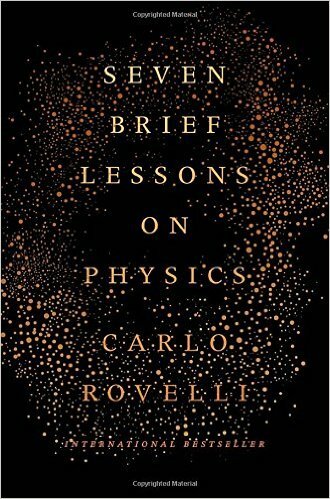 If you can’t remember the last time you read a book about physics, treat yourself to 100 crisp pages in Carlo Rovelli’s book titled, Seven Brief Lessons on Physics. The lessons are brief, easy to follow, interesting and informative. I learned that a better way to think of the big bang is more like a big bounce. Scientists are curious, and Rovelli shows how the questions of curious scientists have led to answers to big and deep questions. Rating: Four-star (I like it) Click here to purchase Seven Brief Lessons on Physics from amazon.com. Ringing. 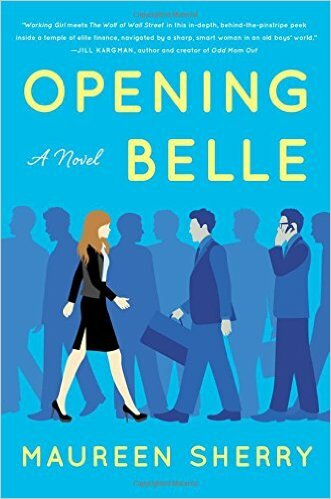 Maureen Sherry’s novel, Opening Belle, would make a perfect selection for a book club because it should lead to animated conversation. It is also entertaining Summer reading, both funny and poignant. Sherry is a former Bear Stearns managing director, and her protagonist, Isabelle, is a successful Wall Street trader. Belle loves her work, and earns plenty. The workplace is dominated by men, and Sherry sets that context as much of the setting for her entertaining plot. Belle’s handsome husband doesn’t earn much, nor does he do much to care for their children or their home. Sherry will ring the chimes of those readers who delight in reading about workplace unfairness, relationship ups and downs and generally the roads taken or not taken as we decide what to do and what not to do. Rating: Four-star (I like it) Click here to purchase Opening Belle from amazon.com. We. A wise friend once told me that the most important question each of us answers is: “when we say ‘we’ who do we mean?” The togetherness that can be formed when the answer to the question involves a close knit community or small group is part of the topic covered in Sebastian Junger’s book titled, Tribe: On Homecoming and Belonging. He uses this subject to explore the challenge of returning veterans as they leave close knit communities, especially in war zones, and try to assimilate into the complexity of our modern society. 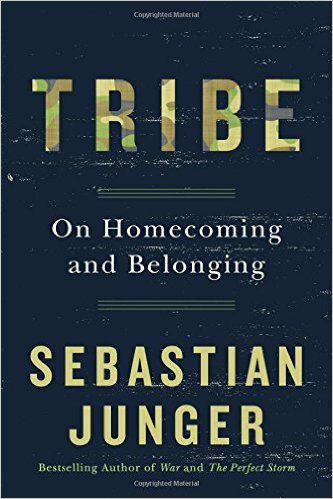 Junger’s thinking is clear, the topic is interesting, and the book will appeal to any reader who thinks about community and building strong bonds within society. Rating: Four-star (I like it) Click here to purchase Tribe from amazon.com. Escape. Travel takes us away from where we are and toward becoming aware of who we are. Travel writing can be banal or can lead us to deep insight. 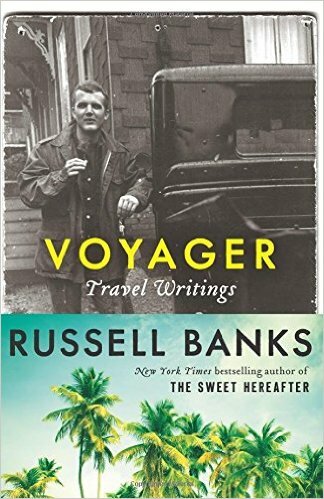 Russell Banks is a terrific writer, and the essays in Voyager: Travel Writings were a delight to read. While I would never want to climb a mountain, his writing about climbing gave me some insights into human nature. While I would never want to drive a Hummer, his driving experience for a magazine article made me laugh. Having been married for decades, I don’t identify with his experience of four marriages, but his writing about eloping with his fourth wife was enlightening. Readers who like fine writing, and have an appreciation for wanderlust of all sorts are those most likely to enjoy reading this book. Rating: Four-star (I like it) Click here to purchase Voyager from amazon.com. Slavery. Fiction that relies on alternative history can attract or repel readers when a premise may be seen as too unlikely or as very plausible. 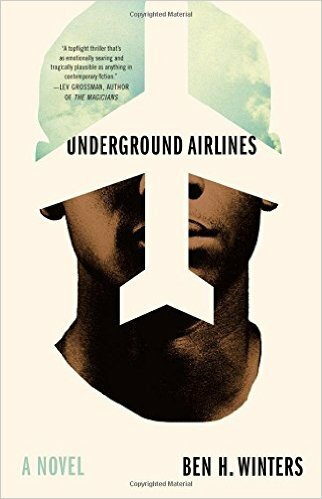 The key premise in Ben Winters’ novel, Underground Airlines, is that the Civil War didn’t happen, and that slavery continued in four southern states. With that premise fixed, Winters creates a world that seemed totally plausible to me, and one in which the motivation and behavior of all characters makes a great deal of sense. Protagonist Victor is a bounty hunter for the U.S. Marshalls Service, hunting for a runaway slave. The plot remains thrilling throughout the novel, the characters are consistently complex and believable, and the longing for freedom remains as strong in this alternative reality as ever it has been in our known reality. Given the complexity of contemporary race relations, this novel is timely and uncomfortable, which seems just right. Rating: Five-star (I love it) Click here to purchase Underground Airlines from amazon.com. Hudson. 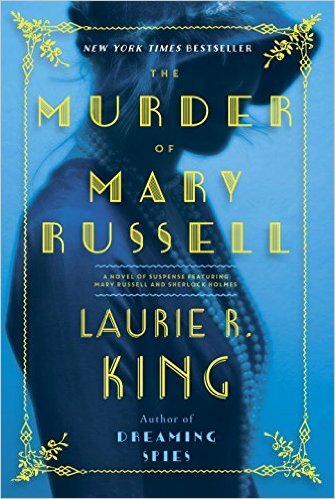 Readers like me have been thrilled that Laurie R. King has continued to write novels featuring Sherlock Holmes and Mary Russell. In each novel, there is more development of familiar characters. The latest novel, The Murder of Mary Russell, develops Mrs. Hudson, the longtime housekeeper. It’s no spoiler to say that readers will learn things about Mrs. Hudson that we never expected. The novel offers so much of what we’ve come to expect from Laurie King: an intelligent plot, interesting twists, and hours of reading entertainment in the comfort of familiar characters, some of whom have deeply kept secrets to be revealed. Rating: Four-star (I like it) Click here to purchase The Murder of Mary Russell from amazon.com. Brand. 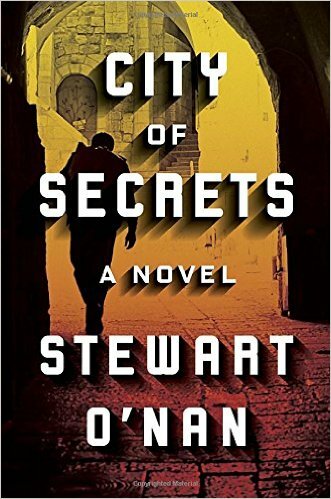 Stewart O’Nan accomplishes more within the 200 pages of his novel, City of Secrets, than most writers can ever achieve. Set in Jerusalem just after World War II, the novel deeply develops one character, Brand, with so much skill that readers could feel comfortable with stating they understand Brand completely. Brand is a camp survivor now driving a taxi. He’s a member of a cell working for the creation of the state of Israel. Brand is displaced in so many respects, and the past seems to be always present with him no matter where he is or what he is doing. O’Nan places faith and despair side by side, and explores past and present moral choices that offer hope and love. The tension in the novel never lets up, and Brand’s choices have far-reaching consequences. Rating: Five-star (I love it) Click here to purchase City of Secrets from amazon.com. Solid. 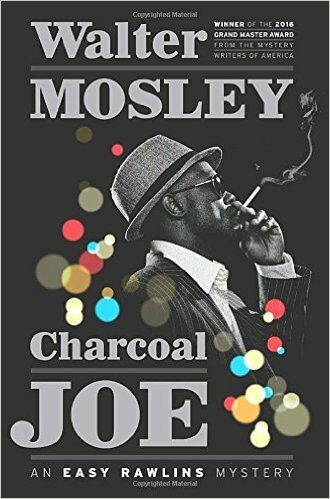 Fans of character-driven crime fiction will be delighted with the return of Easy Rawlins in Walter Mosley’s novel titled, Charcoal Joe. This solid, complex character has new challenges in his work life and in his personal life. In every situation, under pressure or while relaxed, Easy is a consistent and reliable guy, using his mind or his body as the situation demands. Fans of the series will enjoy all the familiar characters from earlier novels. New readers will become hooked by Mosley’s fine writing. Rating: Four-star (I like it) Click here to purchase Charcoal Joe from amazon.com. Home. Michael Harvey’s crime novels have been set in Chicago. 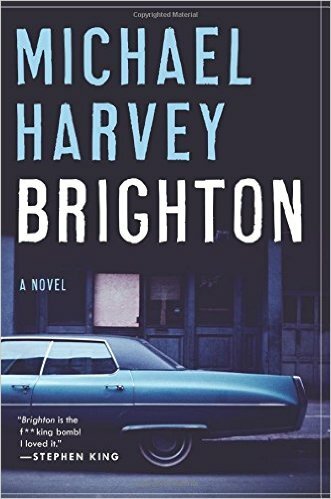 In his latest novel titled, Brighton, Harvey returns home to Boston, as does protagonist Kevin Pearce. Although Pearce is a Boston Globe reporter, he has avoided his Brighton neighborhood for decades. When he finally returns, he encounters family, friends, loyalty and betrayal. Issues from the past gain new import in the present. I was thoroughly entertained by Harvey’s prose, the interesting characters and the fast-paced plot. Fans of gritty crime fiction are those most likely to enjoy reading this novel. Rating: Four-star (I like it) Click here to purchase Brighton from amazon.com. Fidelity. Literary fiction fans can find much to enjoy in Chris Cleave’s latest novel titled, Everyone Brave Is Forgiven. Set in London during World War II, Cleave presents complex and interesting characters, places them into relationships that cross class and race boundaries, and propels a plot that draws readers into the stress of life during war both on the battlefield and at home. Cleave’s descriptive language and insight into human behavior combine to offer a vivid and resonant portrayal of love, fidelity and of course, bravery in all its forms. I didn’t expect to enjoy reading yet one more novel set during the second world war, but here I am enjoying all four hundred plus pages of another finely written novel set during that time. Rating: Five-star (I love it) Click here to purchase Everyone Brave Is Forgiven from amazon.com. Evil. 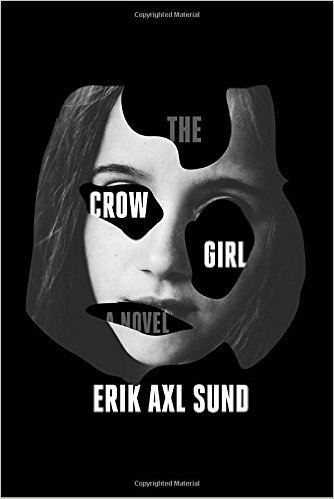 Fans of crime fiction who have a high tolerance for detailed descriptions of horrific acts are those most likely to enjoy reading The Crow Girl, an almost eight-hundred page novel by Erik Axl Sund, the pen name of authors Jerker Eriksson and Hakan Axlander Sundquist. Originally published as a trilogy in Sweden, the novel is packed with darkness and the evil acts of a cast of characters. I enjoyed the depth of character development, and the doggedness of Detective Superintendent Jeanette Kihlberg and her personal connection with another key character. The authors present the perspectives and recalled memories of a variety of characters, constantly shifting the action from one person, place and time to another. The plot twists are exiting, and readers with strong stomachs should be able to read through every gruesome scene of evil and perverse acts. Rating: Four-star (I like it) Click here to purchase The Crow Girl from amazon.com. Dynamics. 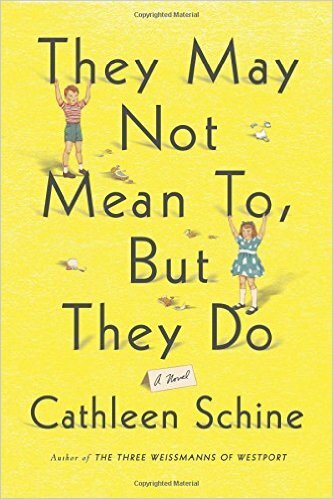 Cathleen Schine presents three generations of a family and their unique yet universal interpersonal dynamics in her novel titled, They May Not Mean To, But They Do. You may either laugh or cry, depending on your age and your disposition to all that life can bring. I never expected to laugh so much while reading a novel that begins and ends with urine. The roles of parents and children, caretakers and caregivers, are tossed around, as well as the ways in which we either adapt or hold on when experiencing change. New Yorkers will understand not wanting to leave a rent controlled apartment. This funny and poignant novel offers a glimpse into family life that will resonate for many readers, and will delight even those who see nothing of themselves or their own families in this novel. Rating: Four-star (I like it) Click here to purchase They May Not Mean To, But They Do from amazon.com. Character. 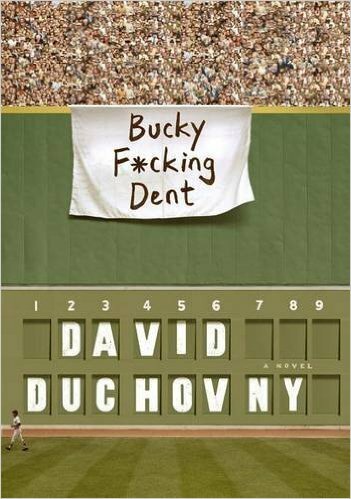 I had low expectations when I picked up a copy of David Duchovny’s novel titled, Bucky F*cking Dent. Having known Duchonvy as an actor, I didn’t know much about his skills as a writer. I was pleasantly surprised by the quality of the writing as well as the abundant literary references. This well-educated and multi-talented person has written a very good novel. At the core of the novel there is a father-son relationship with two complex and interesting characters. Perfect for this time of year, there is baseball. Duchonvy explores love, loss, loyalty and perseverance in ways that were both light and deep at the same time. Three hundred pages can be turned with pleasure over the course of about as much time as one would spend at a baseball game. Rating: Four-star (I like it) Click here to purchase Bucky F*cking Dent from amazon.com. Compromised. 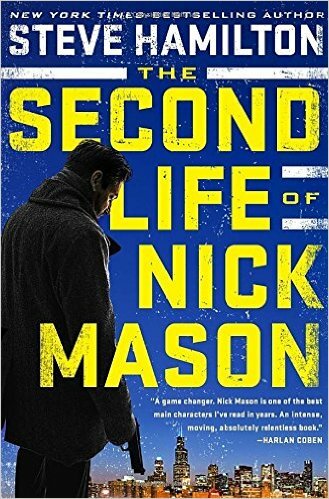 Just when I thought I had read every possible plot for a crime novel, along comes Steve Hamilton and his novel titled, The Second Life of Nick Mason, first in a series. An imprisoned crime boss, Darius Cole, selects inmate Nick Mason for special treatment. Cole offers Mason a deal: get out of prison twenty years early, and do what I want you to do on the streets of Chicago. Mason agrees and once compromised finds himself doing things that he wants to stop. The fast pace of the novel seems best suited for the screen rather than the page, especially as Mason wrecks multiple restored classic cars while carrying out Cole’s commands. Fans of crime novels are those most likely to enjoy reading this one and may join me in looking forward to the next installment. Rating: Four-star (I like it) Click here to purchase The Second Life of Nick Mason from amazon.com. Alienation. 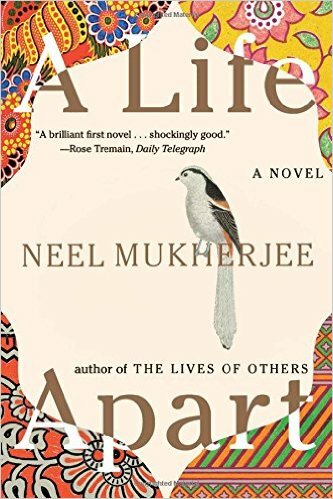 While reading Neel Mukherjee’s debut novel, A Life Apart, I had to keep reminding myself that this book was not written by an older and more experienced writer. The construction of the novel was complicated: the story of a young man in one chapter followed by the story of an old woman in the next chapter, then repeated. Both protagonists have been experiencing life as outsiders, the young man as an Indian in England, and the English woman living in India. Mukherjee presents the depth of their emotions and the totality of their alienation with great skill. Readers who enjoy debut novels and fine literary fiction are those most likely to appreciate this novel. Rating: Four-star (I like it) Click here to purchase A Life Apart from amazon.com. Riot. 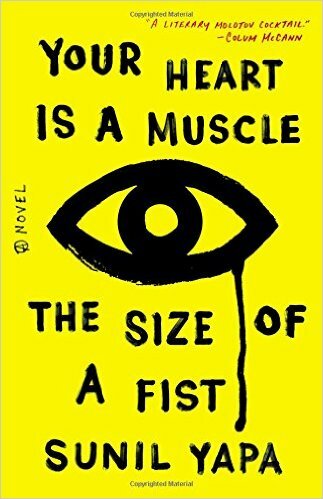 The debut novel titled, Your Heart Is a Muscle the Size of a Fist, by Sunil Yapa, pummels readers with a riot of words and a display of a wide range of thoughts and feelings. Set on one day in 1990 in Seattle at the gathering of delegates and protestors for the World Trade Organization conference, the novel sweeps readers into the sights and sounds of the street protests and riot. So much of what we do as humans does not turn out the way we planned, and we do things based on either thoughts or feelings that cause our reactions in a moment to display what values direct us, whether we admit to them or not. Yapa’s energetic prose, and shifting perspectives by multiple characters can be a challenge to absorb. I found his dynamic writing to be exciting and a pleasure to read. Rating: Four-star (I like it) Click here to purchase Your Heart from amazon.com. Wordplay. 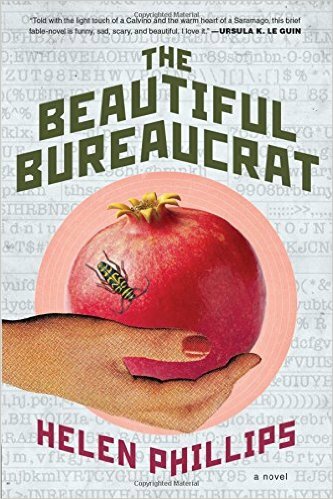 The debut novel by Helen Phillips titled, The Beautiful Bureaucrat, may the most courageous writing I’ve read in a long time. Phillips sets most of the novel in an odd workplace, and places protagonist Josephine in an Everyone role as she does the work she is asked to do, and grows in her curiosity as she tries to make sense of and master the work. Phillips uses files, paperwork and wordplay in ways that I found very funny. The subject is serious, and the courage that Phillips exhibits in presenting such a disturbing and odd novel as her introduction to readers may portend great things from this fine writer. Readers looking for an unusual and well-written novel should consider reading this one. Rating: Four-star (I like it) Click here to purchase The Beautiful Bureaucrat from amazon.com. Giants. 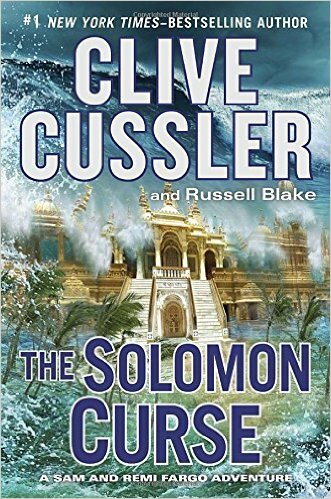 The seventh installment in the Sam and Remi Fargo series by Clive Cussler is titled, The Solomon Curse. While most of the formula remains intact in the current adventure, the Fargo’s opulent eating and drinking is dialed down and their concern for the lives of others ramped up. They are looking for a lost city off Guadalcanal, and hear stories of giants. With dispatch, the plot moves them to multiple places and to satisfying discoveries. Readers looking for wholesome, reliable adventure fiction will find an entertaining story in this novel. Rating: Four-star (I like it) Click here to purchase The Solomon Curse from amazon.com. Healing. 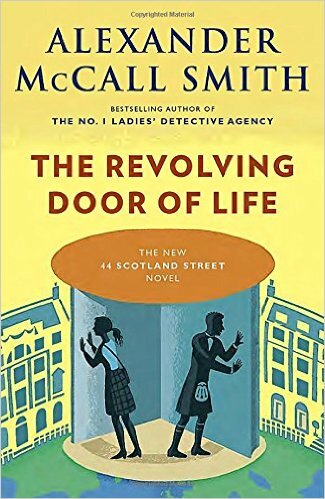 The tenth installment in Alexander McCall Smith’s 44 Scotland Street series is titled, The Revolving Door of Life. Originally published as installments in The Scotsman, the short chapters provide ideal reading for commuters, or for any reader who has the time for short spurts, but can’t always read for extended time periods. Fans of the series will enjoy the reunion with old friends, and appreciate the many forms of healing and love that permeate this collection. New readers can start here and find satisfaction from these standalone episodes. Once hooked, most readers will want to read the entire series. I’m already looking forward to the next installment. Rating: Four-star (I like it) Click here to purchase The Revolving Door of Life from amazon.com.